Recipes, cooking techniques and food videos about artichokes. The Cuz "cheat on artichokes" by eating a sunchoke and kale pizza. The Cuz try a Neapolitan deep-fried pizza at Forcella, in the East Village. Dig in to an all-new Pizza Cuz, Monday night at 9, only on Cooking Channel. 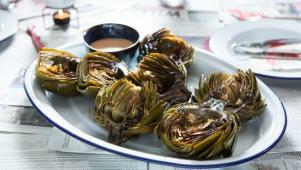 A video guide to artichokes: how to select, prepare and cook them. Making this ahead? 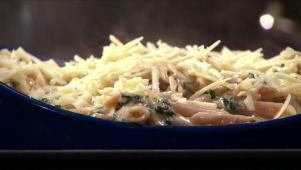 Undercook the pasta for best texture later in the week. 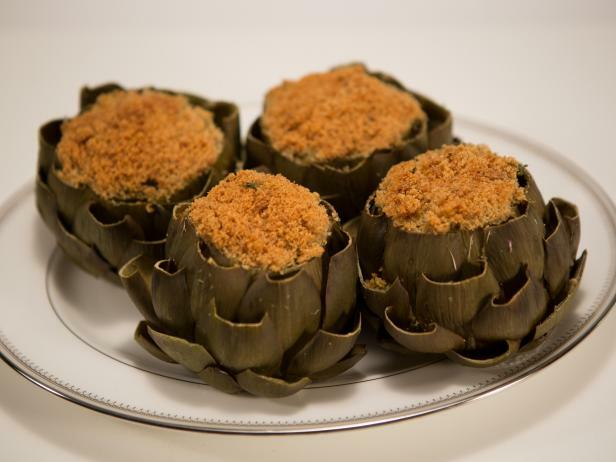 Giada bakes artichokes topped with Gorgonzola cheese and breadcrumbs. 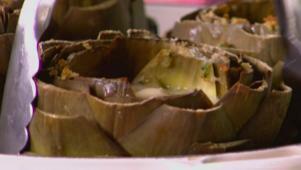 Gabriele gives a quick master class in all things artichoke. 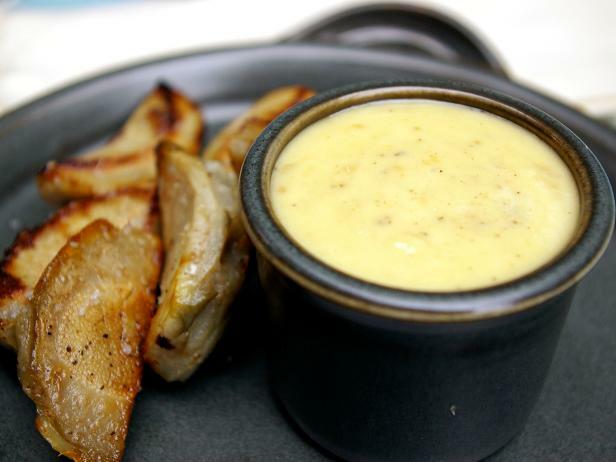 Tiffani grills tender artichokes to go with her spicy dipping sauce. 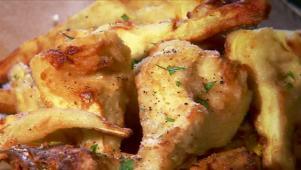 Giada prepares Artichoke Gratinata as a savory side for a weeknight meal. 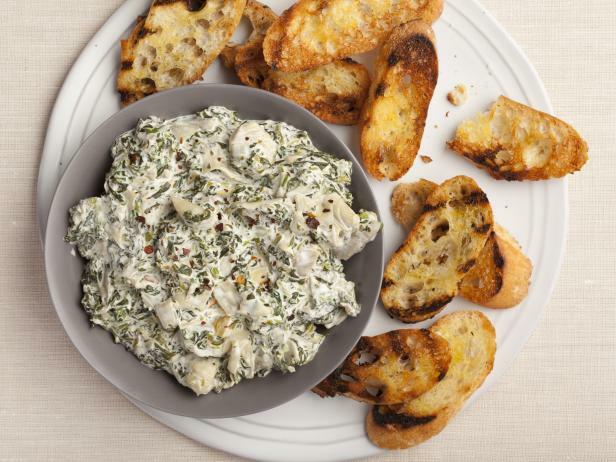 High in antioxidants, artichokes can actually help your body remove toxins.